David is well known for his expertise in using technology in teaching, and has presented widely across the country on this topic over the last few years. He is the author of Law School 2.0: Legal Education for a Digital Age (LexisNexis/Matthew Bender 2009). 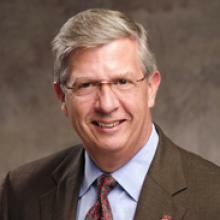 He is also a member of the LWI and ALWD, and in 2010 he was elected to the Board of the LWI. In 2007, David was invited to join the LexisNexis Law School Advisory Board, and more recently served as a member of the LexisNexis Publications Advisory Board. In connection with his work on those two boards, he consults with Lexis about the future of law school casebooks. He is also co-series editor on the Skills & Values Series of hybrid law school textbooks. He has published two books in that series:Skills & Values: Discovery Practice (LexisNexis/Matthew Bender 2010), and Skills & Values: Lawyering Process – Legal Writing and Advocacy (LexisNexis/Matthew Bender 2013). David served as Director of the Lawyering Process Program at the Sturm College of Law from 2008 to 2013. He is the recipient of the University of Denver’s Distinguished Teaching Award for 2011-12. He lives in Denver with his wife Kathy, and two daughters. David publishes a blog on legal education called Law School 2.0. David was the inaugural Visiting Scholar at IAALS.